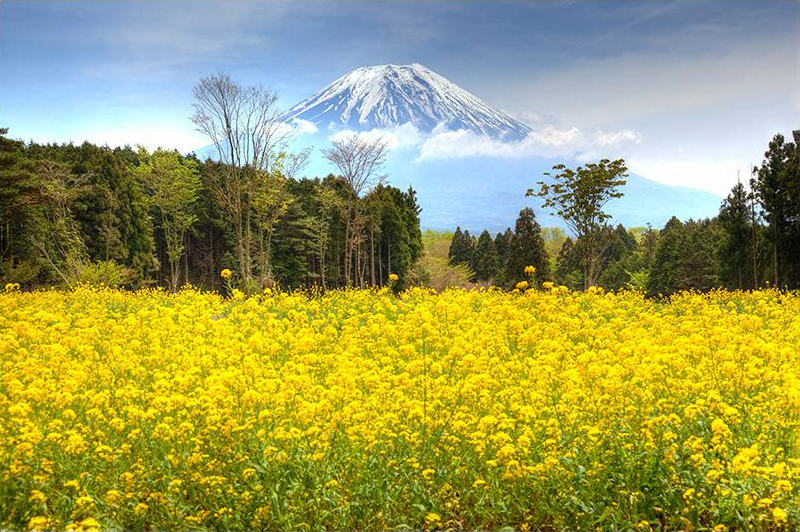 Mount Fuji is the highest mountain in Japan, standing an imposing 3,776.24 meters (12,389 feet) tall. It is considered an active volcano, with its last eruption in the early 1700s. Often depicted in Japanese art, the iconic mountain is well known as a symbol of Japan and is a prominent feature of Tokyo’s skyline. The well-formed cone of this stratovolcano is visually almost symmetrical. Climbing the mountain has become a popular excursion for tourists from around the world, with over 300,000 persons reaching the summit each year. Climbing between October and May is strongly discouraged due to the cold temperatures. Many climbers choose to make the climb at night in order to be at or near the summit for a breathtaking sunrise.